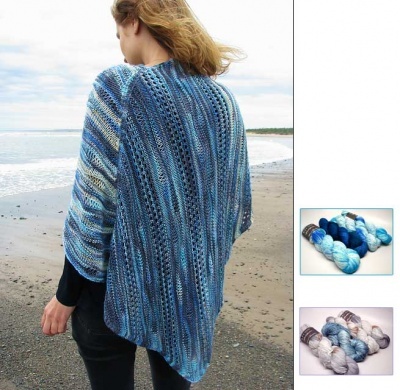 We are continuing to find and offer yarns as Orphan Skeins. 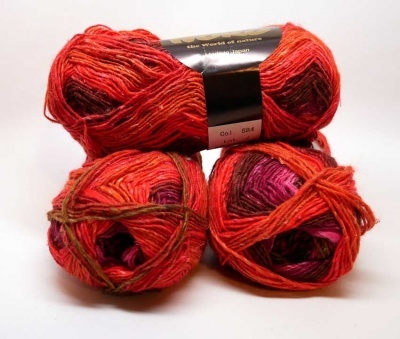 Sometimes we only have one or two (rarely three) skeins leftover from kits and we have them here as "orphans" -- at a greatly reduced price (at least 15%) for as long as they last. 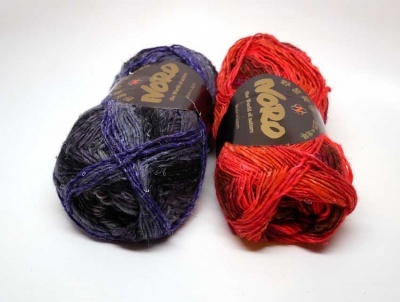 This yarn is from Noro, their Silk Garden Sock, 40% wool/ 25% silk/ 25% nylon/ 10% mohair. 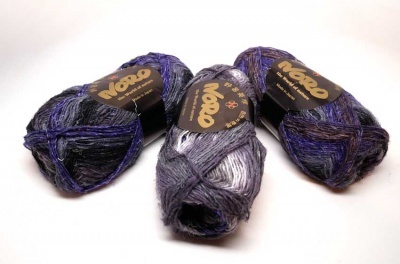 As with most Noro yarns, these are dyed in very long color runs, which gives a most intriguing affect to the knit. They are minimally processes and if they feel a bit rough to your hand, bear in mind that they soften majorly on washing. Each of these gives 328 yards (300m) per 100g ball. 1. #S358 is mostly nightime colors, including gays, black, varying blues.